O’ Weeping Willow, why do you hate the daylight so? Why do you cry to the sun and hang your head so low? Do you want us all to feel the same way that you do? Are you angry with the sun, which dries, then feeds you too? O’ Weeping Willow, why do you love the darkness so? Why do you wave and smile at the moon; and let your beauty show? Do you love the dark because it hides your bitterness? Does the night conceal your tears within it’s tranquil darkness? 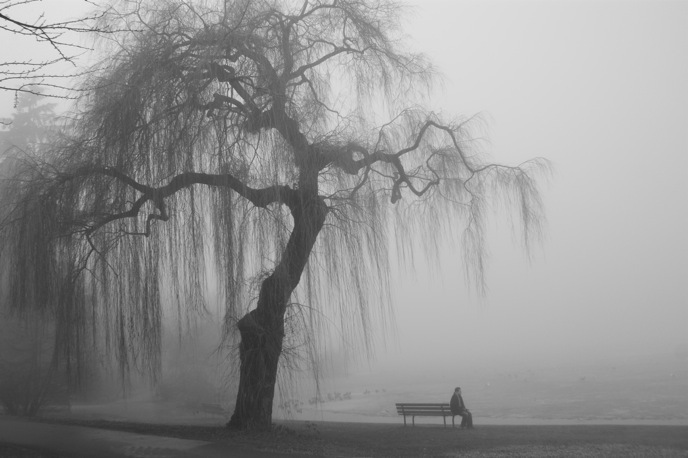 O’ Weeping Willow, why do you exist to feel this way? Why must you live to suffer so? Do you know where we all go when we turn to dust? Weeping Willow won’t you cry for me too, when you meet my drifting dust?